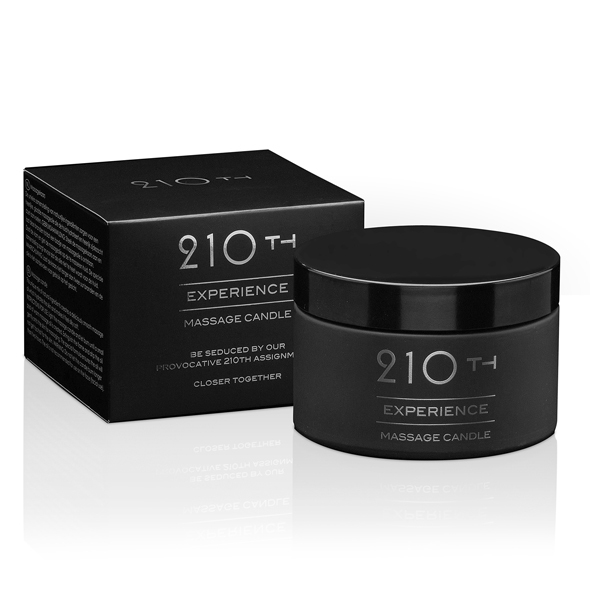 The 210th Experience body care line will always seduce you with the hidden assignments behind the QR code inside the package.This unique mix of natural ingredients creates a deliciously smooth massage oil which hydrates the skin and makes it feel silky soft. Light the massage candle and let burn until a small pool of warm massage oil is created. Extinguish the flame and drip the oil gently onto the skin for massaging. The special formula ensures the oil will not get too hot for the skin. Warning: Do not let the candle burn longer than two hours. The oil is not recommended for use on the face (facial use).